Just like any woman, Mother Nature is extremely moody. At one moment, she is calm, happy and proud to show you her best. Then without warning, her mood can turn sour and deny you of her beauty. And if, unfortunately, you’re caught in her wrath, she will not hesitate to put your life in jeopardy without remorse or mercy. As adventurers, we have come to realize that in order to understand and be with Mother Nature, we have to appreciate her vagaries and respect all aspects of her temper. That is true, even if sometimes, we have to face disappointment. Howling winds carrying rainwater pelted the campsite during the evening of our second day in the mountain. We were hoping against hope that the following morning, which is Valentine’s Day, will be clear so that we can witness the magical sea of clouds that Mt. 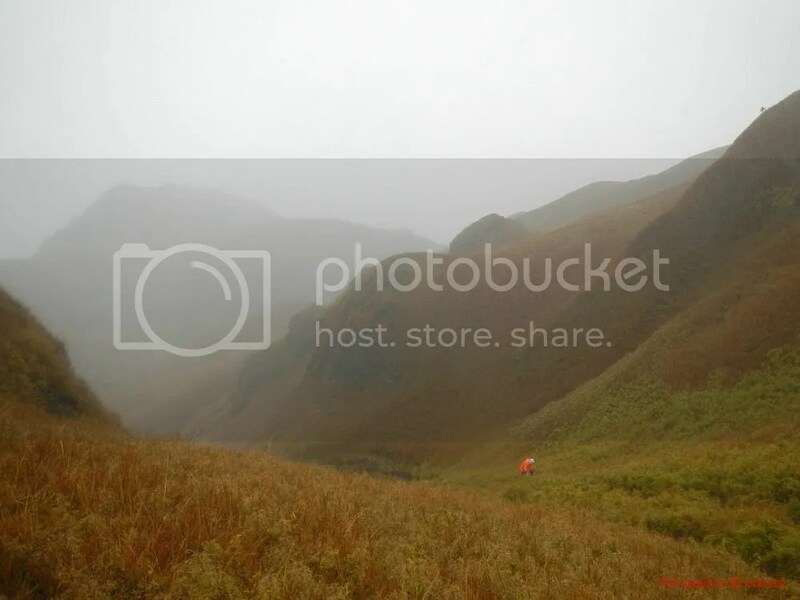 Pulag is well known for. But rain kept pouring when we woke up at 4AM. The temperature has dropped to 1 degree Celsius, and frost would have formed if it was not raining. We decided to wait it out until 5AM to see if the rain would stop. No such luck. A little bit dejected having missed out the sea of clouds, Sweetie and I just prepared an early breakfast so we can pack up early. 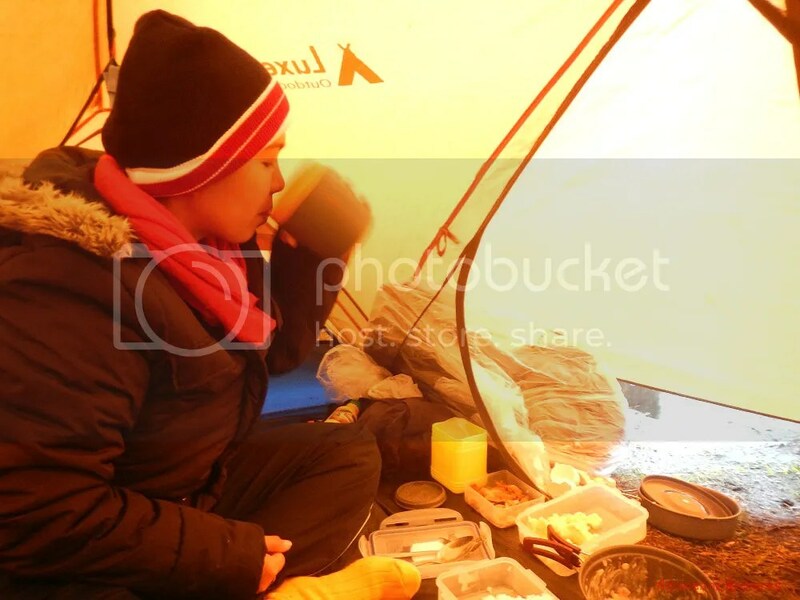 We were wearing cold weather gear even inside the tent because the ambient temperature was around 3 to 4 degree Celsius. That’s really cold. Like the bad weather hounding us since yesterday afternoon, everyone was as dejected as we were. At around 7AM, our team (and other campers) decided to break camp and exit the mountain via the Ambangeg trail. Check out the photo below; that’s how rainy the day was. Once everyone was packed up and after cleaning our campsite, it was time to leave Camp 3 and get on the trail. We started the day’s climb with a steep ascent on a muddy road that, at certain areas, turned into gushing streams. Had it not been for the cloud cover, this scene would have been picture-perfect. However, we saw another aspect of Mt. Pulag. In fact, we saw her mysterious, ethereal, and foreboding side. The gray sky acted like a giant diffuser, muting the colors and sprinkling the mountain in a silent bath. We found an easy shortcut leading to the summit along the trail. At first, we really didn’t want to go up. But since we were already here, then what the heck! Let’s do what we came here for! 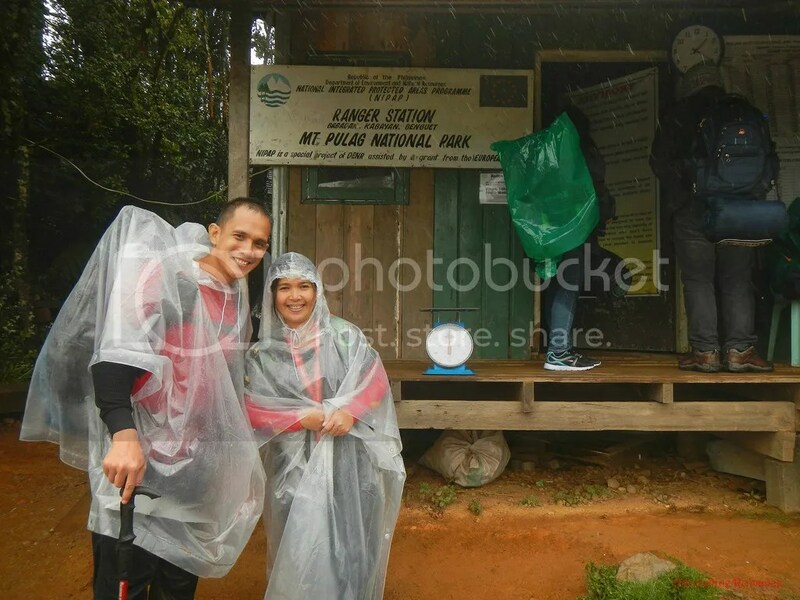 After a 3-minute climb, we officially reached the top of Luzon and the third highest peak in the Philippines! You can’t have a more adventuresome Valentine’s as this! Happy Heart’s Day, Sweetie! Boys just want to have fun….even in the freezing temperature. Macho Papas. After taking a few pictures at the summit, we went down and came upon the tail end of the Ambangeg trail, which follows a gently rolling terrain. From here, it was a long but easy walk to our exit point. Check out those beautiful tussocks. Awww! How sweet! 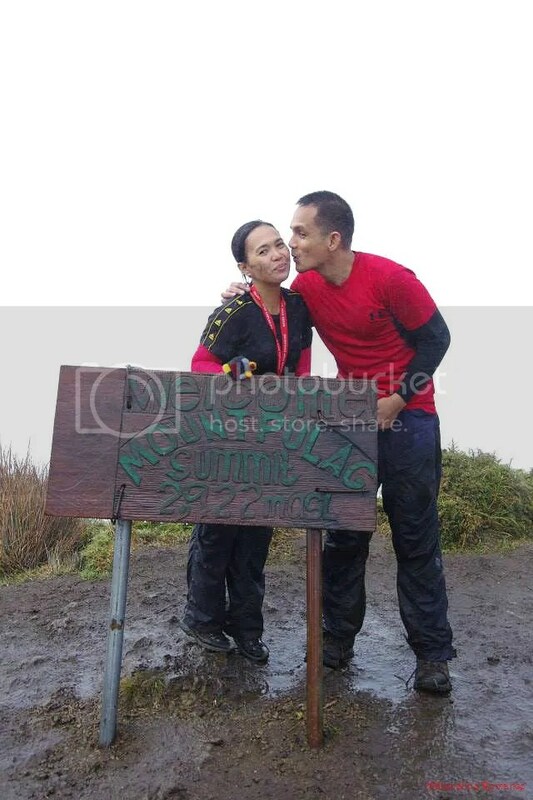 Little did we know that a couple of months after this Valentine’s climb, Jigz and April tied the knot! That will be another story. Hehehe! Look at the trail. 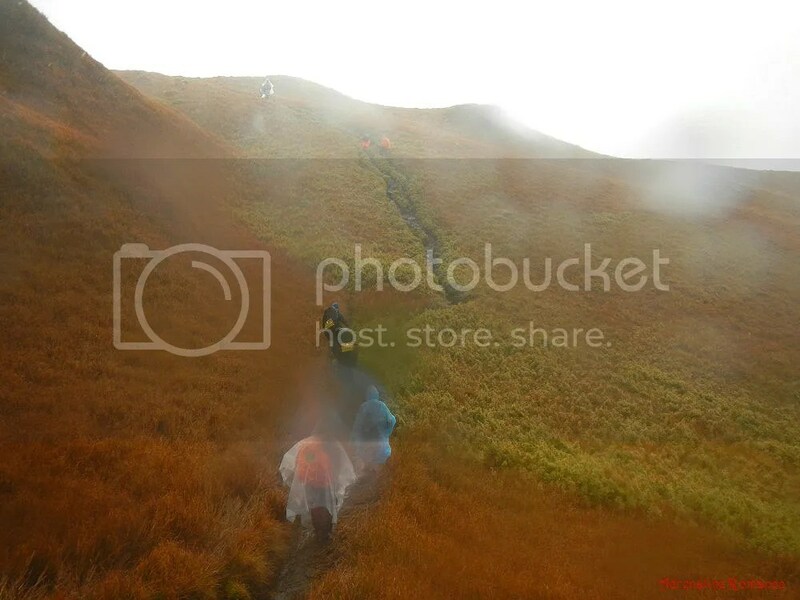 Sadly, the massive number of trekkers climbing Mt. 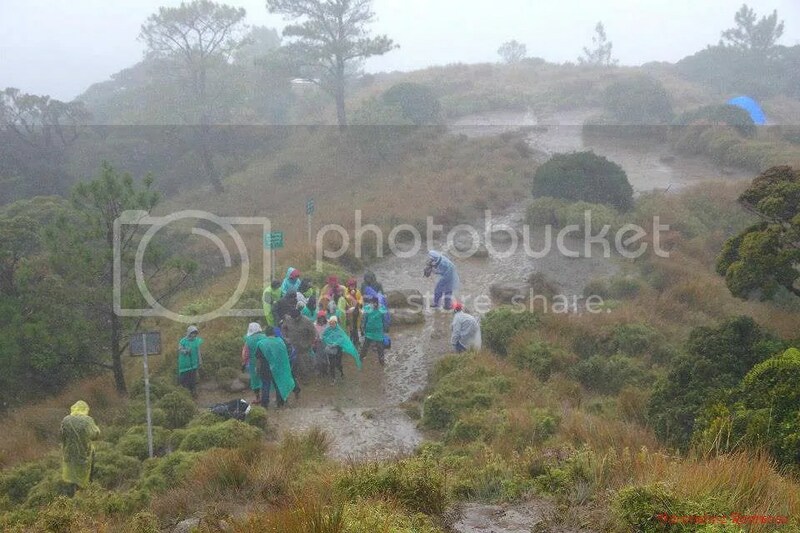 Pulag has destroyed the Ambangeg trail. What has once been a narrow one-person trail has become a wide “field” of mud because many trekkers don’t stick to the trail. We were wide-eyed with amazement at the porters of Mt. Pulag National Park. They can carry huge loads with relative ease. This lady (yes, you heard that right) was carrying around 30 kilos of baggage, and she was trekking faster than us! We have great respect for these porters. 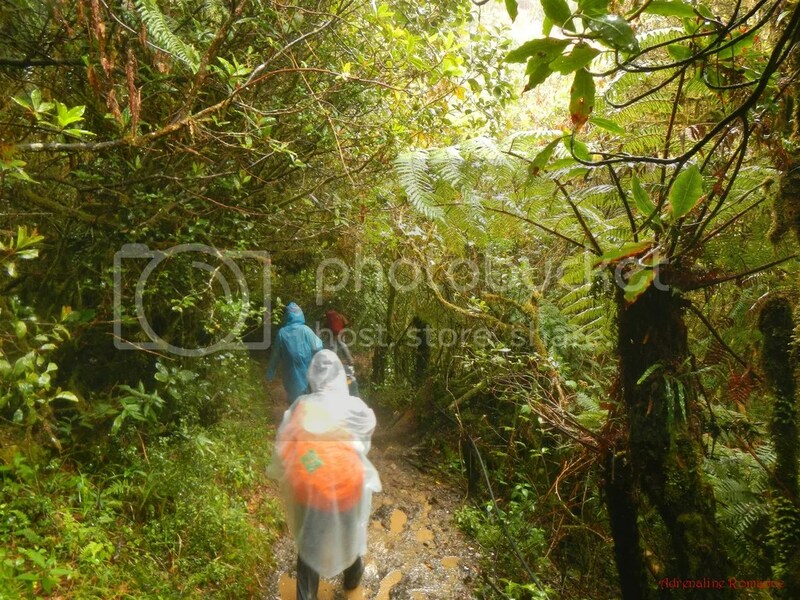 As we trekked the Ambangeg trail, rain poured harder, but thankfully, the wind died down. If not for the cloud cover, this could be a very beautiful scene. More than an hour later, we came upon a paved section of the trail. While it may be an eyesore for purist nature lovers, we totally understand why this is an advantage. A paved trail reduces damage to the surrounding area as trekkers will stick to the trail rather than blaze their own. We chanced upon these trekkers who took a break at the trail. We’re not sure if they were from Camp 3 or if they’re still going to Camp 3. At the crossroads, we saw this nice sign which conveniently points trekkers to where they want to go. 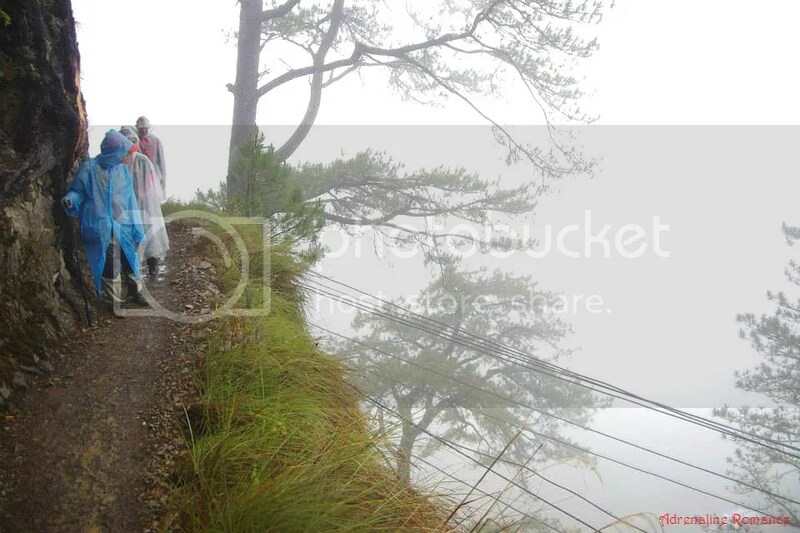 We would like to try the Tawangan Trail if we get the chance. Gaps in the stone-paved trail allowed water to seep in, turning some sections of the trail into virtual streams. It was still a long way to our exit point. 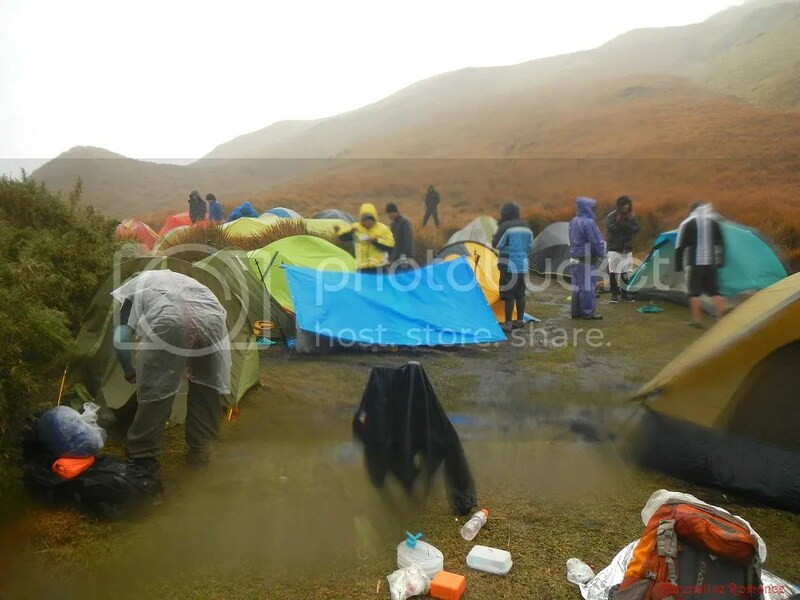 Less than an hour later, we arrived at Camp 2, which was totally rendered unsuitable for camping due to deep mud the rain has caused. In fact, a few weeks after we climbed Mt. 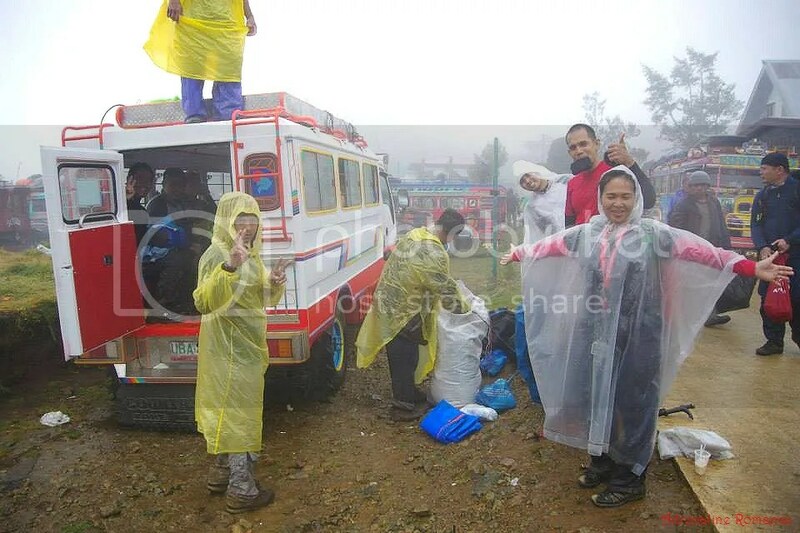 Pulag, Ms. Gina Epe, through her FB page, informed the public that pitching tents in Camps 1 and 2 was prohibited to allow the ground in the area to harden and recover. 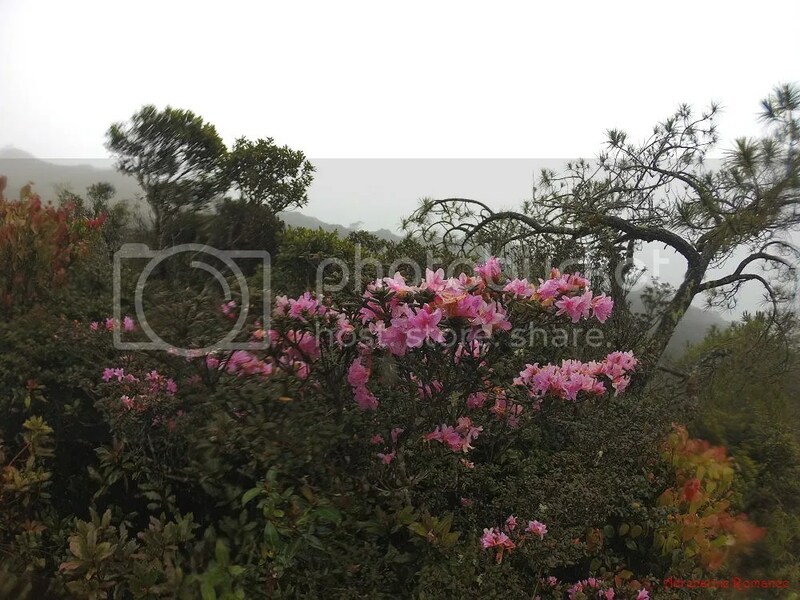 Bushes and trees topped with gorgeous wildflowers gave splashes of color even on a gray day. Here’s a close-up shot of some of the beautiful, rain-soaked wildflowers we saw while on the trail. These would cost a fortune in the city. 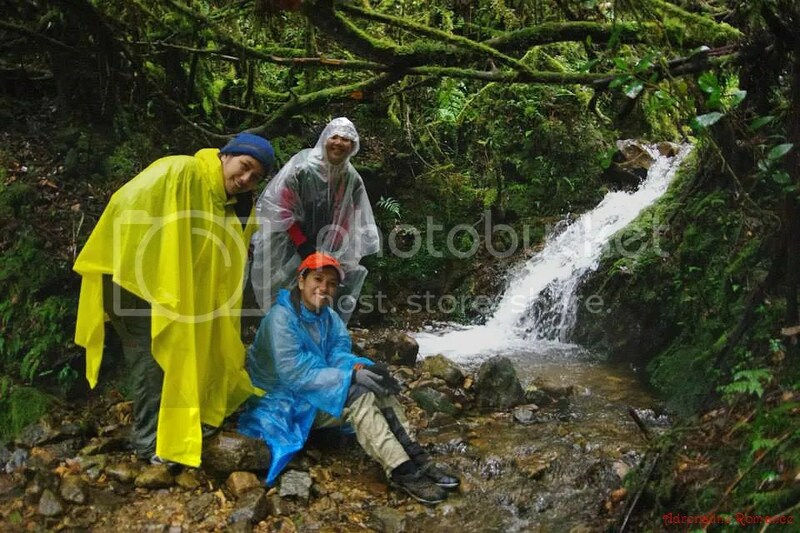 Immediately after Camp 2, we entered a wet, shady mossy forest with a very established trail. We will write a separate blog post about the Ambangeg trail sometime next year when we visit Mt. Pulag again. You don’t think we will forever give up the chance of seeing the sea of clouds, do you? If we are correct, this small waterfall in the forest is the last water source for trekkers using the Ambangeg trail. That looks kind of dangerous, isn’t it? Oh, those are electrical lines. So if you are unfortunate enough to fall off that cliff, you have an option: perish in the fall or die through electrocution (insert evil laugh). Finally, through the mist, we saw the beginnings of vegetable farms and houses. Civilization, at last! After 4 hours of long but easy trekking, we arrived at the Babadak Ranger Station, the starting point for Ambangeg trekkers. Our exciting Valentine’s climb has come to an end, and it was a great adventure to remember despite my massive cramps and the unexpected bad weather. Oh, look! Our chartered jeepney was waiting for us! We don’t have to hike all the way to Ms. Gina Epe’s restaurant where we can finally freshen up and eat a steaming hot meal of pinikpikan na manok. After logging out and getting our Mt. Pulag certificates at the DENR/Visitor’s Center, we started our long 3-hour trip back to Baguio. 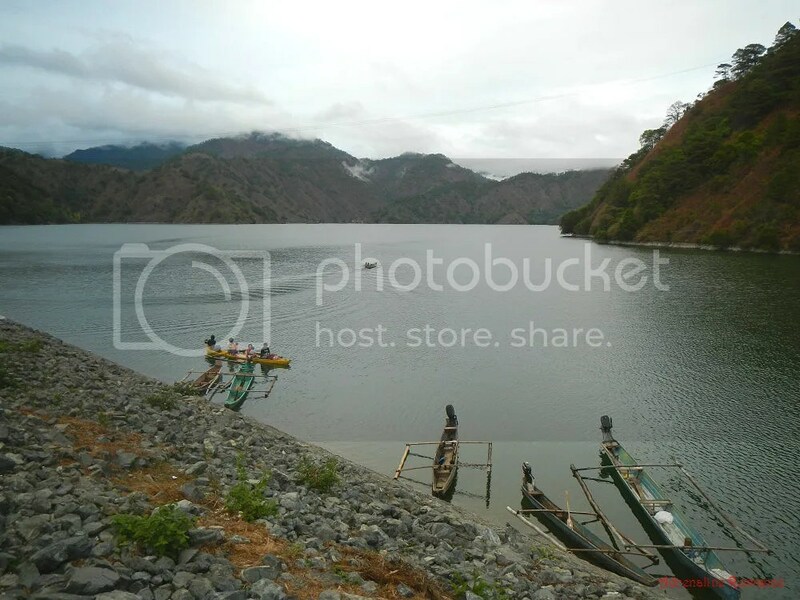 On our way, we stopped by the Ambuklao Dam in Bokod, Benguet. Built in the 50s, the dam serves as a flood control structure, hydroelectric facility, and irrigation source. 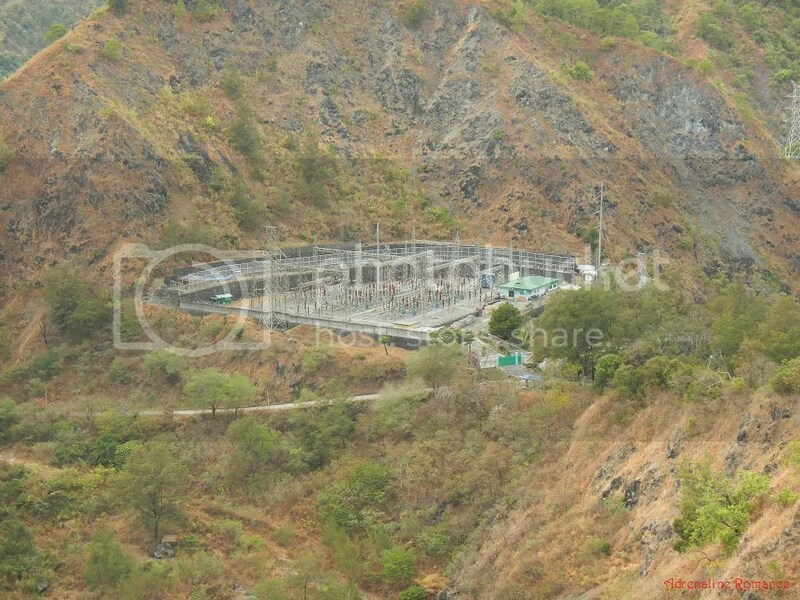 It is also one of the oldest power plants in the country. 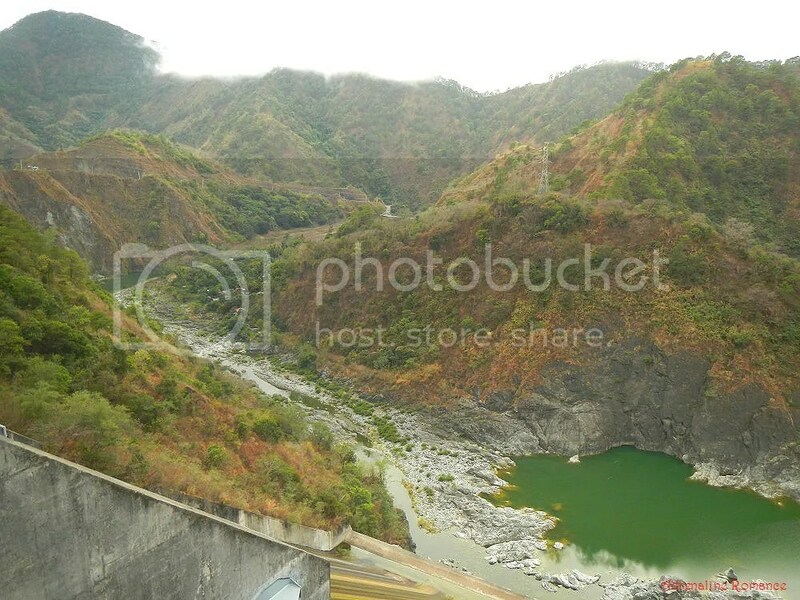 It was our first time to see a real hydroelectric dam, and we were just overwhelmed by its sheer massiveness. 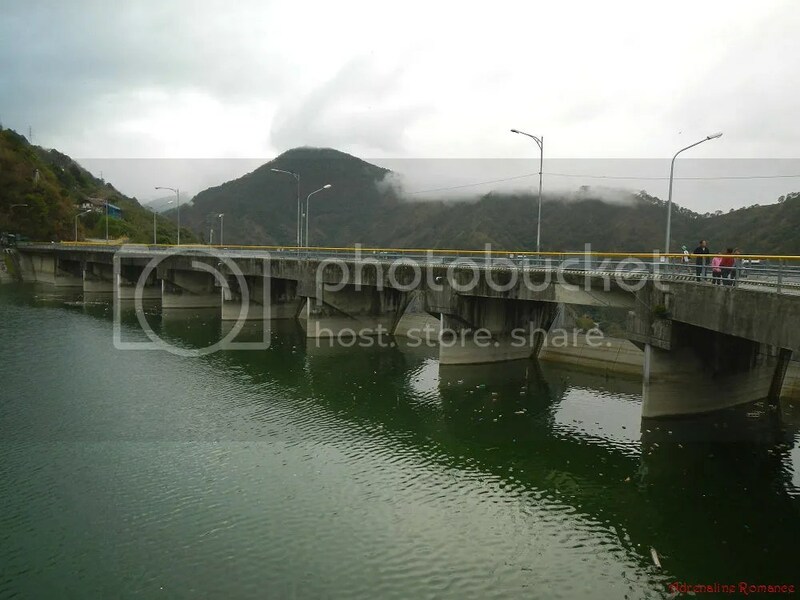 Ambuklao Dam is an example of a gravity dam in which the Earth’s gravity itself holds the structure in place. The dam’s spillways direct the flow of water downstream when the floodgates are opened. The dam’s floodgates allow engineers to control and regulate the flow of water out into the dam. They are built over the spillway. When the floodgates open, water crashing down the spillway flows towards the downstream side of the Agno River. We were concerned about the potential danger of houses lying close to the river’s shore. Most probably, however, safety engineers must have taken precautions to keep those communities safe. 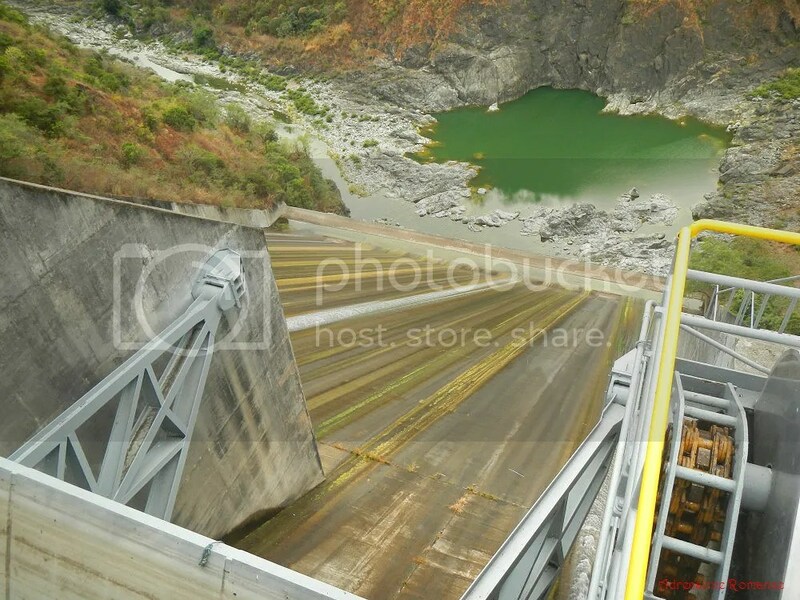 That’s the Ambuklao Dam’s power plant, which generates and distributes 105 megawatts of electricity to the Luzon grid. 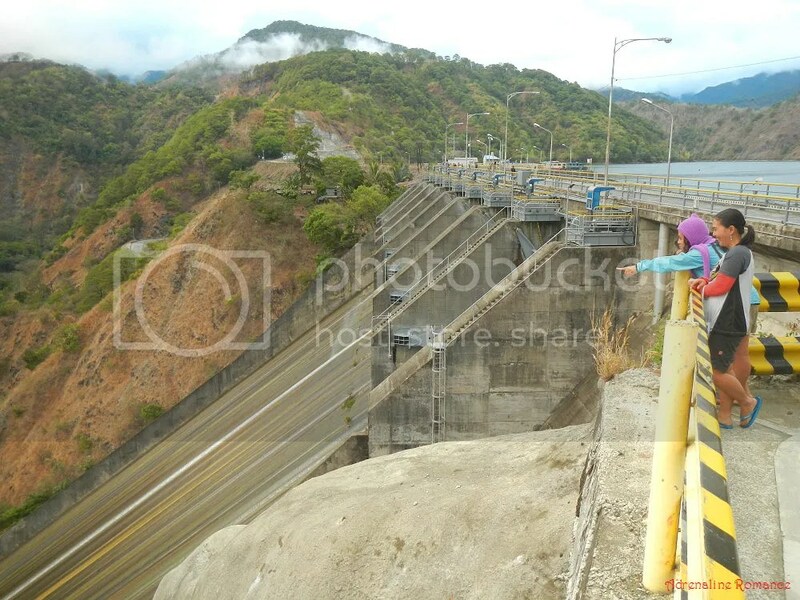 Along with three other dams, the Ambuklao Dam controls the flow of the mighty and picturesque Agno River, the fifth largest river in the country. Many people depend on this river for fishing, irrigation, and a whole lot of other industries. A few hours later, we reached Baguio City and said goodbye to members of our team who need to go back to Manila to catch their flight. For us and a few others, it was a beginning of a much deserved rest and an exciting side trip. We would definitely love to go adventuring with these guys and girls again! Thank you very much! And thank you to Ms. Gina Epe (the lady wearing a plain white shirt) for taking care of us. Indeed, our Valentine’s climb up Mt. 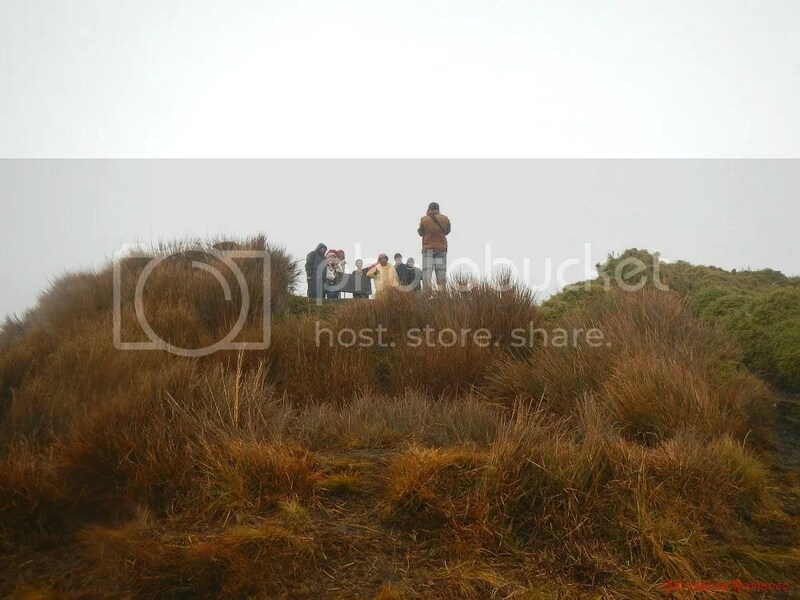 Pulag was a success despite the cramps, bad weather, and bad visibility. And like many other adventures we undertook, we learned valuable life lessons, the most important of which is never to underestimate Mother Nature. She is beautiful but deadly. She is serene but unpredictable. Always treat her with care. 1. Mt. Pulag, if you plan to summit it using other trails other than Ambangeg, is considered a major climb. Before climbing the mountain, make sure you fully prepare for such an undertaking. We strongly recommend climbing a couple of shorter mountains or taking a few long treks before the Akiki trail to condition your body to the rigors of the adventure. 2. 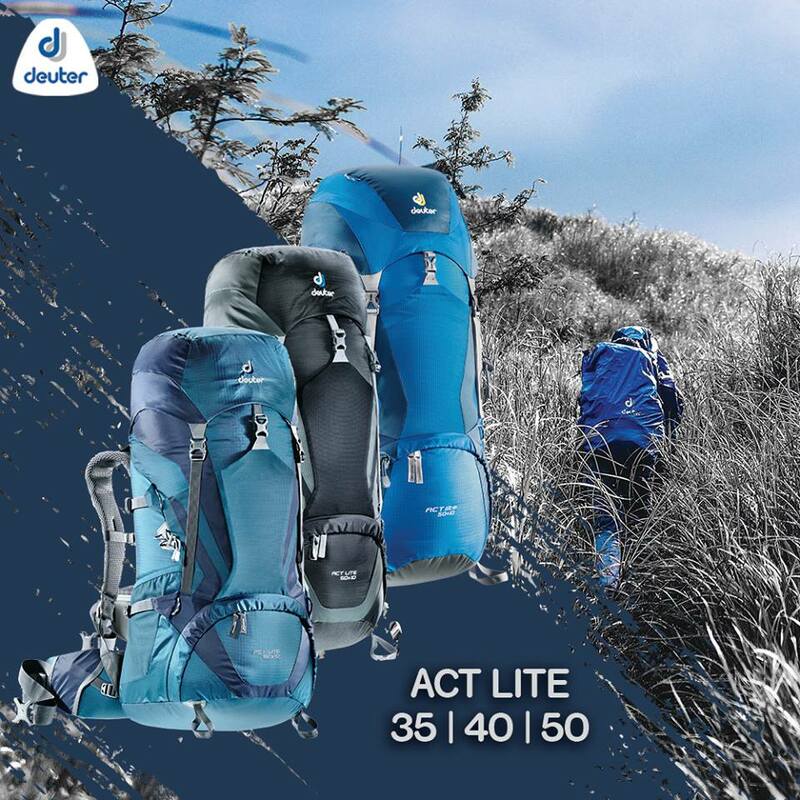 During your practice climbs and treks, carry a mountaineering pack filled with your mountaineering gear (or bottles filled with water) so you can get used to the weight (remember, you are going to carry extra bottles of water and your food). 3. Ensure that you are fully hydrated for the trip. Also, we would recommend bringing hydration or salt tablets that you can add to your water to replenish lost ions during the climb. 4. A week prior to the climb, eat a carbohydrate-filled diet. Carbo-loading is crucial for stored energy, energy that you need for the climb. Get lots of carbohydrates from wheat bread, cereals, pasta, and rice. Don’t worry if your weight increases; you’ll get rid of that when you climb Mt. Pulag. 5. If you’re suffering from an injury or ailment, see your doctor first and seek his advice before joining the climb. A sick, injured member of the team compromises not just the team’s enjoyment but also its safety. 6. Sleep well the night before the climb. You need to replenish your energy before commencing the climb. 8. For your convenience, bring food that is easy and quick to prepare and does not spoil easily. If you want to bring more elaborate dishes (such as what our team did for this climb), prepare and/or pre-cook the ingredients before the climb. Pack those ingredients in plastic bags or tubs. 9. Bring enough food so you can include the guide (and porter, if you hire one) in your meals. Normally, they would bring their own food, but it’s good mountaineering etiquette to give thought to the guide (and porter). After all, your guide and porter are important elements of your team. 11. Waterproof everything (especially your clothes, cold weather gear, tent, gadgets, and batteries) by putting your items in dry-bags. If dry-bags are unavailable, wrap your items in plastic bags. 1. The last water source in the Akiki Trail is in the middle of the mossy forest, or a couple of hours before the saddle camp. Thus, fill up all your drinking water here (i.e. your water bottle for trail water and two 1.5 liter bottles). The water is safe for both drinking and cooking. 2. Conserve your water intake. Do drink when you’re thirsty. But sip, don’t gulp, your water. 3. Conserve your water use. Do not use water to clean your utensils; use wads of toilet paper when cleaning your plate, cookset, cup, spoon and fork, etc. Use water sparingly when brushing your teeth. And use wet wipes to “wash” your face. 1. 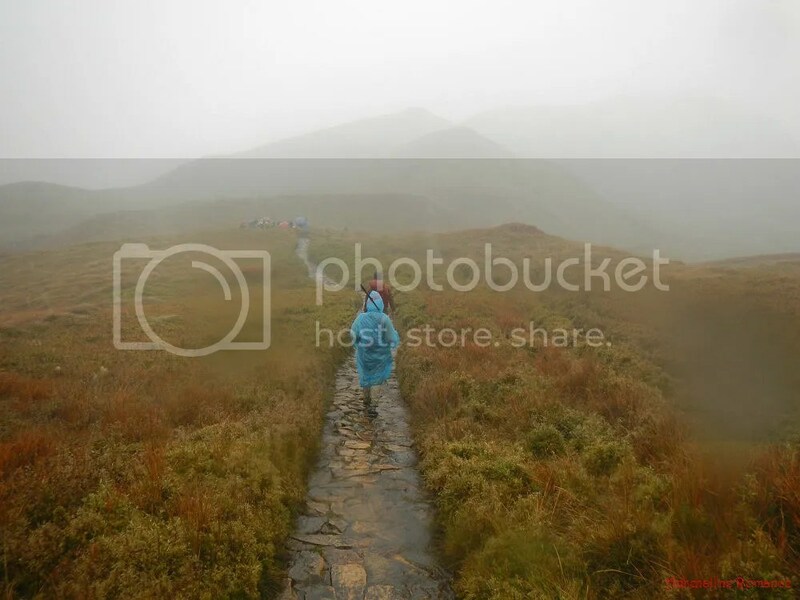 Bad weather is the greatest threat in any climb, especially a major mountain such as Mt. Pulag. 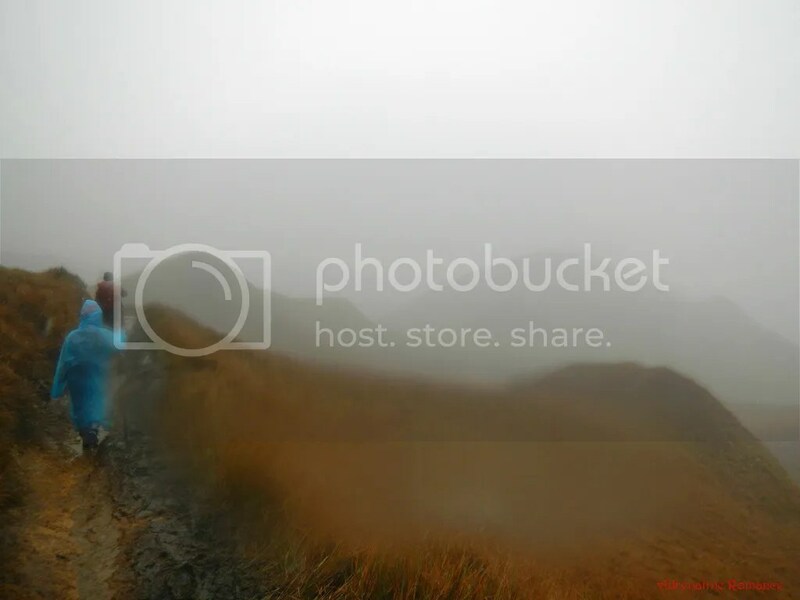 Don’t hesitate to cancel your climb if there is a forecast of rain or storm; you can always rebook your climb. 2. 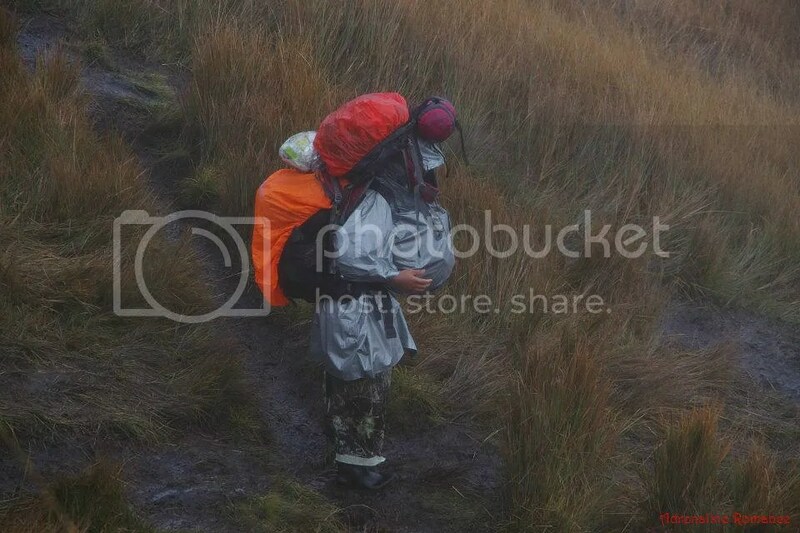 Being caught in bad weather while adventuring, however, is one of the vagaries of adventuring that you have to be prepared for. Thus, bring all the necessary gear, especially rain gear, cold weather gear, and emergency food. 3. The wind chill in Mt. 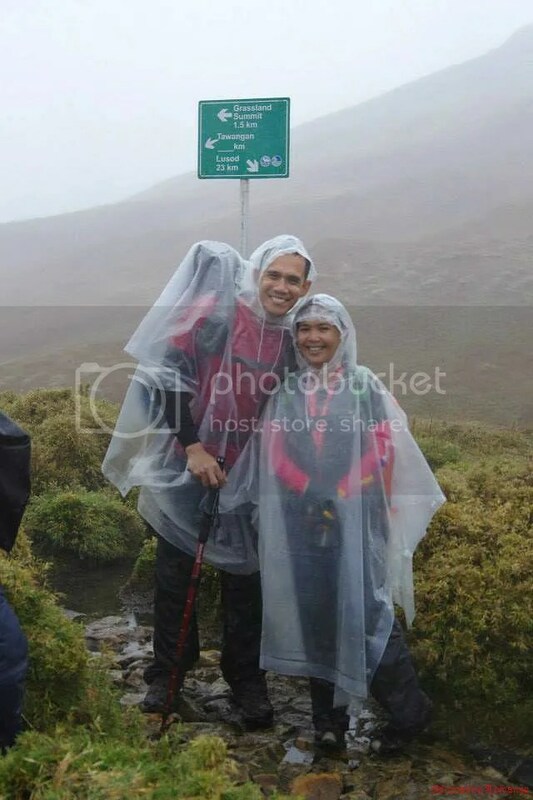 Pulag is the second greatest threat; it can actually cause hypothermia, especially when the temperature drops during the night or early dawn, sometimes at 0 degrees Celsius. That is freezing temperature. If you’re not used to cold temperatures (like us), then you need to ensure that you stay warm. You can retain warmth by dressing up in layers (i.e. a dry shirt as a base layer, followed by thermal underwear, a fleece jacket, then a windbreaker/winter jacket). Keep your hands warm with knitted or thermal gloves. Keep your feet warm by wearing wool socks. Finally, keep your head warm by wearing a bonnet or putting the hood of your jacket up. 4. Ensure that you stay dry because the wind chill becomes even colder if you’re wet. Consequently, you’ll be more susceptible to hypothermia. At the first sign of rain, pull out and don your rain-protection gear immediately. Once you set up camp, immediately change into dry clothes if you somehow got wet. If you’re drenched in sweat by the time you reach the camp site, change into dry clothes once you set up camp. 5. If you feel sick or if you develop cramps during the climb, don’t hesitate to ask the guide to stop so first-aid can be administered. Do not be a liability by keeping silent about your condition; remember that a sick or injured person is a liability and a safety hazard for the team. 6. Do not hesitate to crawl or to brace yourself down a difficult section of a trail if that seems to be the safest way for you to negotiate that section. Don’t follow your guide’s footing simply because the trek seems easy for them. Remember they climb that mountain almost weekly and are familiar with the trail features. 7. Mt. 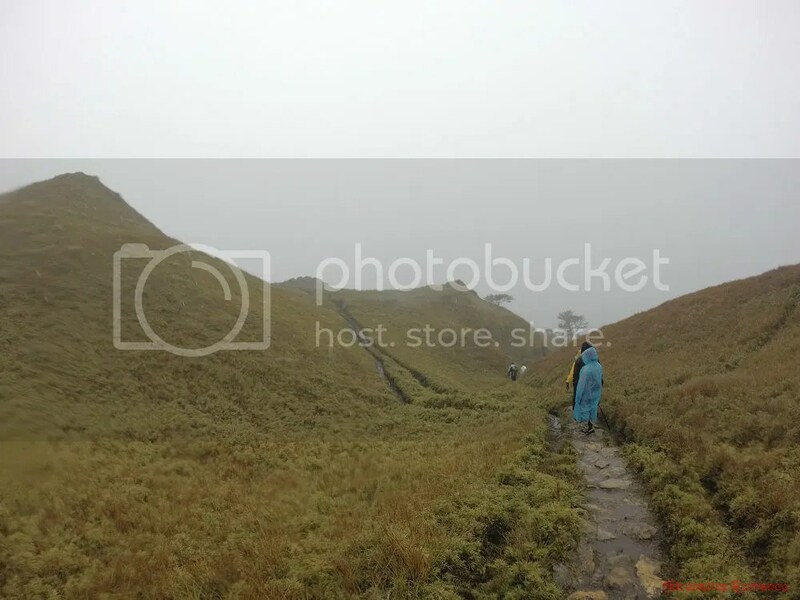 Pulag’s mossy forest is truly ancient. Thus, before gripping or holding roots, branches, and trunks, make sure that they are firm and solid. Many are rotten inside although they appear solid externally. As much as possible, avoid holding shrubs and grasses; they can’t hold your weight. It is also advisable to wear gloves, arm guards, trekking pants, and hiking shoes to protect your limbs from scratches. 8. 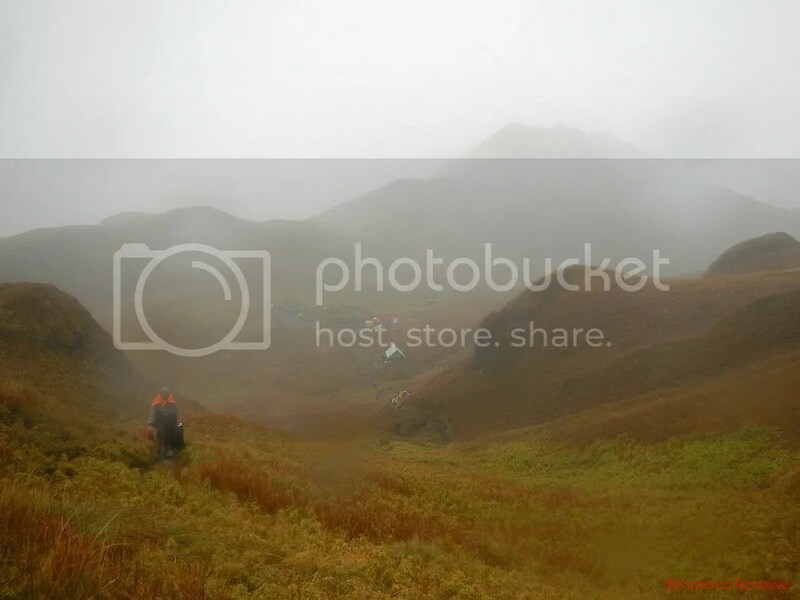 Stay in visual range all throughout the climb, particularly when it is foggy. If the mountain gets covered with clouds, visibility is limited to only a few feet from you. That’s why you need a whistle to call or signal team members. 1. Mt. 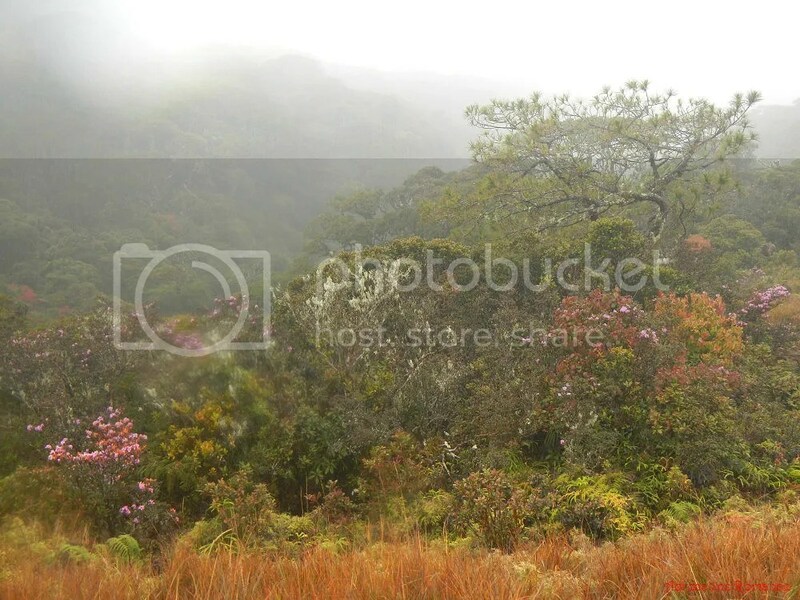 Pulag is a sacred mountain and an officially recognized national park. Treat it with respect by observing silence and diligently following Leave No Trace principles. 2. Dispose of waste, including human waste, properly. We had a disgusting experience of this during our stay at the saddle camp thanks to unruly and uneducated hikers. 3. Show respect by not making fun of local’s superstitious beliefs regarding Mt. Pulag. 4. Do not climb the mountain without a permit. It’s not only unethical but also illegal. Prepare to meet stiff sanctions if you do not follow this rule. 5. Include your guides and porters in your meals and socials. They’re a part of your team. Gosh, I can imagine how tough it must be especially with not so friendly weather! Congratulations!! 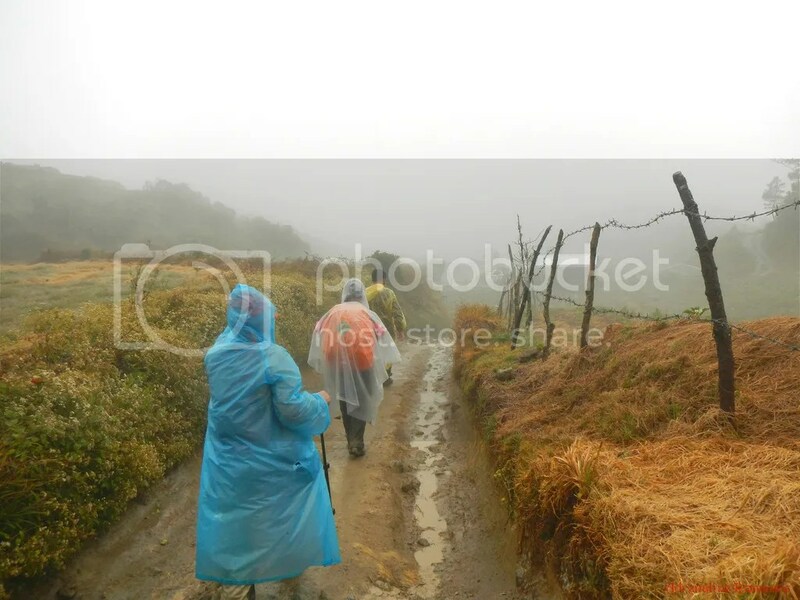 The trek was easy, but it was the weather that really made it a challenge. 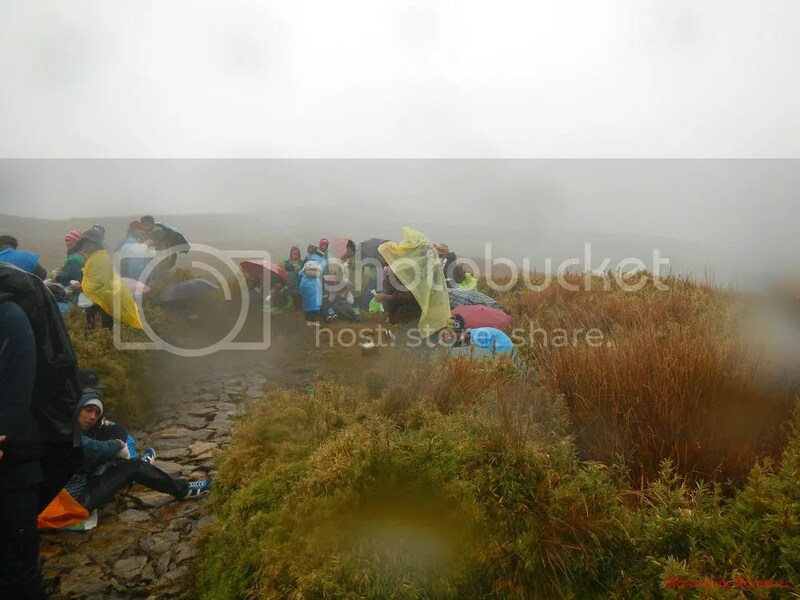 Strong wind, heavy rain, and extremely cold temperature took their toll on us. The weather seems to say, “I want you to come back to Mt. Pulag again.” Hehehe! I was up there that weekend as well. Unfortunately because of my limited time i joined a tour group as i thought that everything would be organised But this turned out to be a big mistake. My first time ever in over 40 years of travel i have joined a tour group and its the last too. Nevermind you live and learn. I also didnt like the “foreigner tax” of $15 asked by the DENR. The Philippines has alot to learn about tourism still !!!! The weather was bad but luckily because of the rain it wasnt cold at all. Just a muddy trail and camp. The hike up was very easy and not at all what i expected. Maybe i will try another route next time. Thank you for visiting our blog. 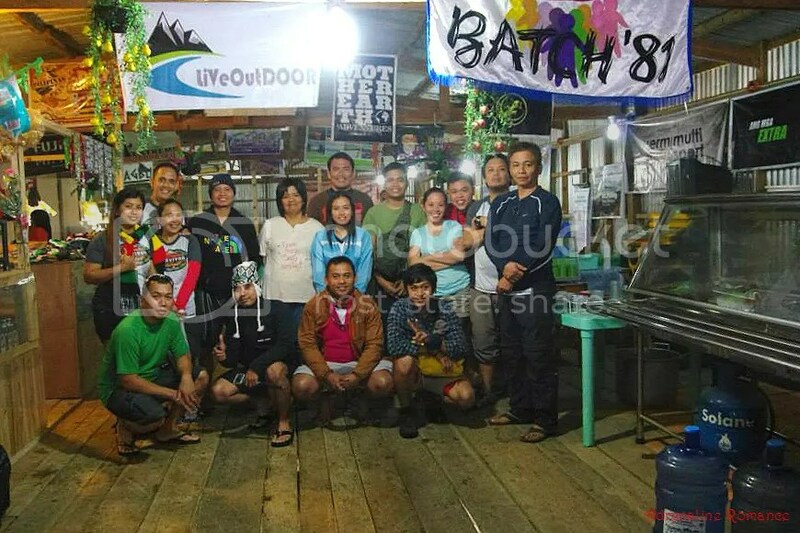 Regarding your concerns, you have to understand that mountaineering/trekking tour groups (unlike city tour groups) are part of a very young outdoor industry in the country. They still have a lot to learn on the ins, outs, and vagaries of adventuring. That’s also why we rarely join adventure tour groups; we rather do it our own. We are dismayed about the “foreigner tax” that was asked from you. We condone this practice as well as that of charging foreigners more than locals. Unfortunately, the general Filipino public assumes that foreigners have a lot of money; it’s a cultural thing and that belief has been embedded since the Spanish colonized us centuries ago. With regards to the trail, we didn’t see any foreigner who used the Akiki trail on the same days of our climb. By inference, it seemed that you took the Ambangeg trail, which is the easiest trail in the park. That’s an “executive” trail for novice adventurers and the non-adventuring public. There are other more challenging trails that lead up the summit of Mt. Pulag. Thank you for visiting our blog. Unfortunately, we weren’t able to see the sea of clouds due to unexpected bad weather. Such is the vagary of the mountain. Just finished reading all three parts of your Akiki experience. I’m slated to climb Mt. Pulag via that trail at the end of October, and I must admit that reading your entries frightened me quite a bit since I’ve never climbed a mountain before. Do you have any tips for a beginner like me? Would you suggest I take the easier trail? Thank you for dropping by. The Akiki Trail is one of the most beautiful trails we’ve ever hiked and the scenes are marvelous. No need to be afraid, but you should remember not to underestimate the mountain. I did otherwise and I paid the price. The trail is consistently steep and inclined so you should prepare yourself physically by doing a lot of day hikes. Climbing stairs with a full pack on your back. Eat healthy and exercise. If you’ve never climbed a mountain before, we suggest you take the Ambangeg trail so you can have an idea of what mountain climbing/trekking entails. Like a warm-up in entering the world of mountains. Of course, you can try Akiki, but just know that its steepness is a true challenge, so you need to prepare accordingly. Sure thing… thanks… hope to meet you on the trail one day… Have a good one. Planning to climb via Akiki Trail 🙂 Thanks so much for your beautifully written entries. My only concern is trekking at 3 am. I have bad eyes thus I wear glasses. Since it is very foggy at that time, I might not be able to see where I am going. How is the difficulty ratio of that 3 am trek? Thanks so much! Hi, and thank you for visiting our blog. You can purchase an earth pad in outdoor equipment shops. Alternatively, you can buy a sheet of roof insulation. Yes, that silver-covered foam sheet that is usually affixed under the ceiling of your home. 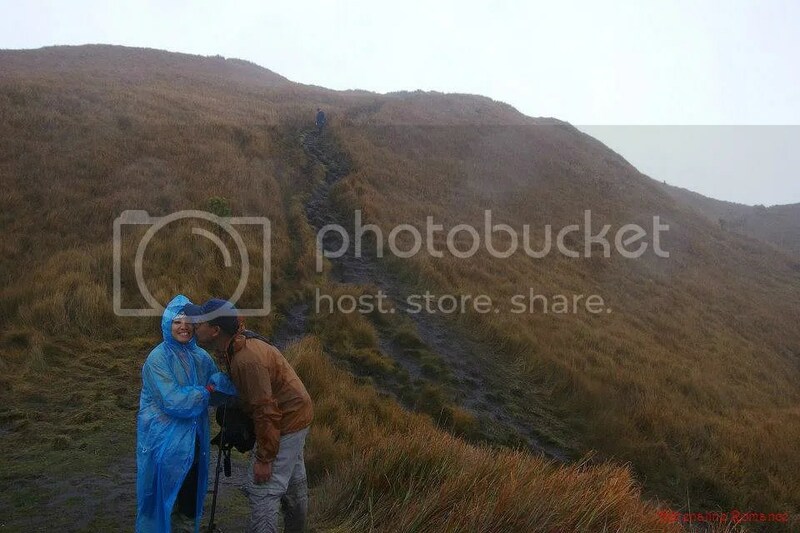 Very helpful blog for someone wanting to trek Mount Pulag…Keep it up.. I am planning a major climb to Mt. 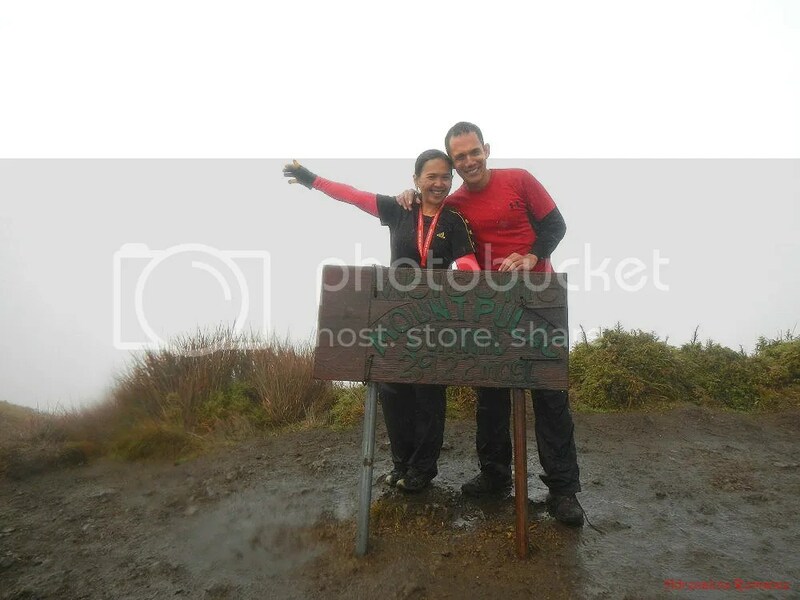 Pulag via akiki trail now and I consider this blog so helpful. IF it is okay, I will use your itinerary for reference. I did hope that the rates are still the same but there are some changes now. Nevertheless, this blog is very helpful. Thank you so much for this blog and may you inspire more travelers like us. Thank you so much for the compliment. Yes, please do use the information here if it will help you; this is what the blog is for anyway. Do expect some changes, especially the guide and porter rates. But most probably, they will be slight; just allocate extra money just to be safe.